Webroot was founded by a single developer, Steven Thomas, who launched the company's first trace removal software agent in 1997. The company then spent the next few years in development of their first spyware removal package known as Webroot Spy Sweeper. To this day, the company still specializes in spyware and malware removal products. Webroot has over 100 employees and now creates products for home, business and enterprise users. Their headquarters is located in Broomfield, Colorado in the United States. Webroot has integrated Prevx cloud technology for threat analysis and detection, giving it a unique approach to antivirus installation and virus detection. Pros: Feature rich package. Fast scan times. Easy to use and install. Great price. Incredible money back guarantee. Cons: Average virus performance and protection. No parental controls. Internet required for full protection. Don't like reading? 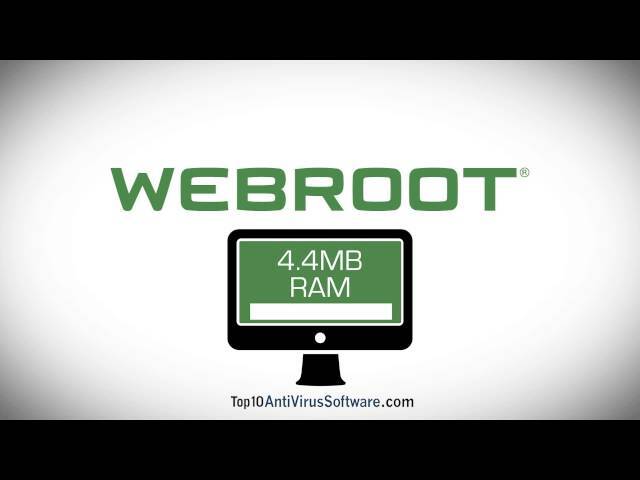 Watch our Webroot video review instead! Webroot Antivirus - Advanced antivirus and antispyware threat protection for PC or Mac, always on security for data and identity theft, browser protection to block harmful websites, firewall and network connection monitor as well as Webroot's signature fast scanning engine for quick virus scans for 1 device. Webroot Internet Security Plus - Advanced antivirus and antispyware threat protection for PC or Mac, browser protection to block harmful websites, always on security for data and identity theft, Webroot's signature fast scanning engine for quick virus scans, firewall and network connection monitor as well as smart phone and tablet support and account login and password manager for up to 3 devices. Webroot Internet Security Complete - Advanced antivirus and antispyware threat protection for PC or Mac, firewall and network connection monitor, always on security for data and identity theft, browser protection to block harmful websites, Webroot's signature fast scanning engine for quick virus scans, smart phone and tablet support, account login and password manager as well as online privacy history eraser and 25 GB of secured online storage for up to 5 devices. Webroot is one of the easiest to use software packages available. Installation is a snap. In fact, one of the signature features of the Webroot software packages is the small amount of disk space it occupies on your hard drive. Webroot is also known for its fast installation using cloud based installation and scanning heuristics. As a result, an internet connection is required for full internet protection. The Webroot interface is extremely easy to navigate. Users are instantly provided a method to perform a scan on their machine. Since Webroot is known for their fast scan times, they don't even give an option to do a "quick scan". On the right hand navigation users can choose from and quickly configure a wide array of features included with the package they are using, such as: PC Security, Identity Protection, Backup & Sync, Password Manager or Utilities. One thing Webroot antivirus does really well is keep the software features in one complete software package. The only protection feature in their package that includes a separate installation and interface is the Password Manager included in Webroot Internet Security Plus and Webroot Internet Security Complete. This is to be expected as the password manager will handle passwords for the user's browsing experience. Reliability of antivirus software consists of a number of factors, but for this Webroot review I'm going to focus on two of the most important. First, we need to make sure Webroot can hold its own in real time detection. Real time detection is the process of catching viruses as they enter the computer system. Second, we look at file detection rates, which is the process of finding viruses if they slip past the real time protection. One concerning factor with Webroot antivirus is that they frequently request the most popular third party antivirus companies don't review the product. This means the company doesn't want to "compete" with other antivirus companies in a traditional sense. 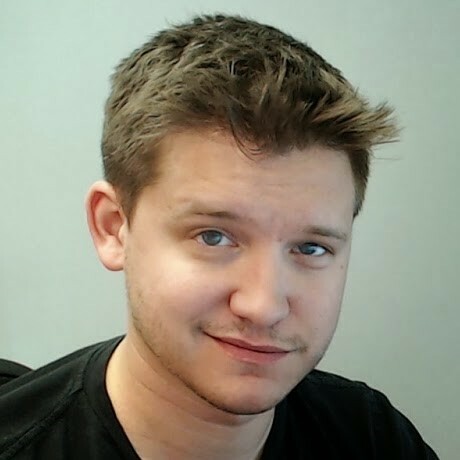 Their claim is that their virus detection engine is cloud based and their heuristics are too different to be validated through traditional testing methods. Opting out of third party reviews makes evaluation of the real time detection rates and file detection rates difficult. Thankfully, a number of independent third parties evaluated Webroot antivirus, Webroot Internet Security Plus and Webroot Internet Security Complete. They found both the real time protection and file detection rates to be average when compared to other antivirus products. Essentially, this means Webroot will provide adequate, but not the best, protection on the market. The performance of Webroot antivirus software is very good. There is very little impact on system performance and their signature quick scanning allows for more frequent checks of the system without the need to use up too much time or resources. Customer support can be an important factor for users who are concerned with the removal of viruses from their machine. Many different methods can be offered by antivirus companies such as support tickets, phone support, live chat or a technical knowledgebase. The Webroot antivirus support site really only offers two of the four primary areas of support: Support Tickets and a Knowledgebase. This means Webroot is not ideal for customers who are hoping to get in contact with a technician over the phone or use live chat. The good news is support ticket systems are very reliable and easy to track by email. For those who want to learn more about their software, they can take advantage of the user guides and video tutorials on the Webroot website. This will help users get the most out of their Webroot antivirus experience and I would encourage users to delve into it as much as possible. Some antivirus companies offer premium services. Premium services are optional methods to pay the company for advanced technical support or virus removal. At this time Webroot does not have any premium services available. For users who were hoping for premium services, they will have to look elsewhere. Webroot offers average virus protection with great speed, a small footprint and an incredible 70-day money-back guarantee. With a starting price of $39.99 for Webroot antivirus, it is a great choice for users interested in a good antivirus with fast scan times and easy to use interface. Webroot Internet Security Plus and Webroot Internet Security Complete give users great additional features such as smartphone and tablet protection, password management, online privacy protection and 25 GB of online storage. The price increase for some or all of these features only ranges from $5 to $20 depending on the package. Users also get additional licenses on the higher packages. Perhaps one of the most compelling selling points of Webroot is their 70-day money-back guarantee. This is the best guarantee on the market for antivirus protection. If you are dissatisfied with the antivirus for any reason you can get your money back, no questions asked. Webroot is a fast, reliable antivirus with an incredible 70-day money-back guarantee. Whether you decide to purchase the basic or premium package, you'll have access to Webroot's signature quick scan times and small footprint. Webroot is the perfect choice for users looking for a good antivirus solution with fast scan times and an easy to use interface.